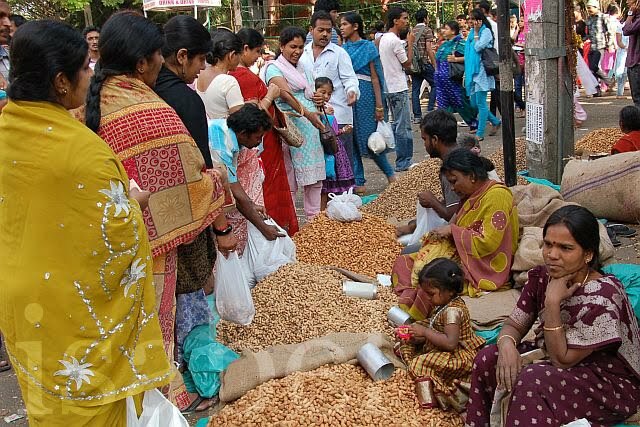 For the past few weeks I noticed that a lot of the pushcart vendors in my neighbourhood were selling peanuts. This obviously meant it was peanut season, so I knew the Peanut Fair was coming up. Usually by the time I hear about it, it’s already over because it only lasts for three days. I didn’t want to miss it this time. So I started asking around: ‘When is the Kadlekai Parishe (Peanut Fair)?’ Nobody knew. Some said it’s on the 21st of November. Others said the 29th. An Internet search revealed that it happens on the last Monday of the month of Kartika – but this didn’t help me much. I asked my Kannada teacher. Since she lives in South Bangalore and the fair happens in Basavanagudi, I thought she may know. She didn’t – but she said she would find out. On Sunday she sent me an sms saying the Kadlekai Parishe had started. A photo in the paper the next day confirmed this, so I headed to the area near the Bull Temple with my camera. All the roads leading to the temple were closed to traffic. They were crowded with all kinds of vendors selling trinkets, bangles, pictures of Hindu gods, jewellery, toys, whistles, balloons, nimbu pani, chaat, cassava, cucumber, mosambi, jalebi, and of course, roasted peanuts! As I got closer to the temple, I saw more and more peanuts. Piles and piles of peanuts still in their shells lined the sides of the road. These were being sold by farmers who had come to Bangalore from all over Karnataka and maybe further away, specially for the Peanut Fair. 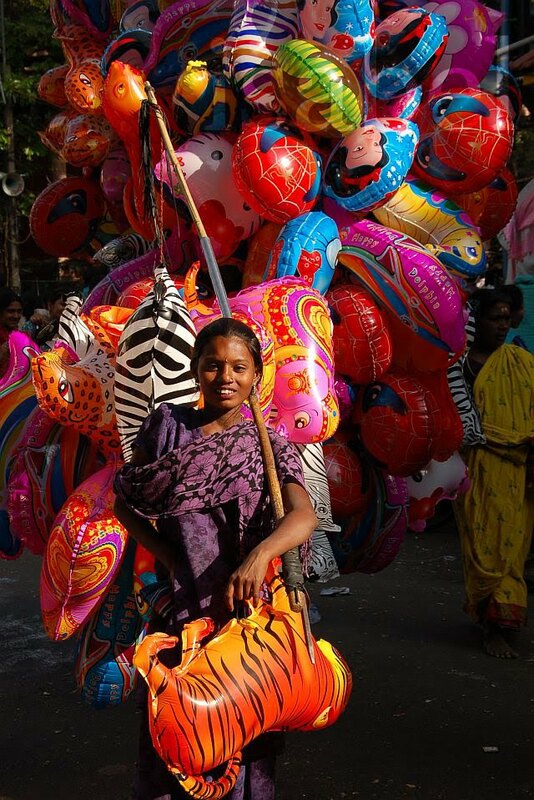 This fair is dedicated to the ‘big bull’ (dodda basava) and has been taking place every year for the past 500 years. The story goes that farmers noticed that their crop was disappearing during the night. They wondered who could be the hungry thief. One night during the month of Kartika, a farmer discovered it was Nandi, Lord Shiva’s bull. This is why before offering their peanuts for sale, the farmers offer their first crop to the large statue of Nandi (or Basava as he’s known here) in the Bull Temple. Staying all dis years in Bangalore and I dint know of such a fair. Your story and pictures are wonderful! Thank you so much for posting this. I feel like I'm there! Now to eat some peanuts! Once again your post brings back childhood memories for me. Great pictures. Shows nothing has changed at least as the 'parishe' goes. Thanks to all of you for visiting. I'm glad my posts bring memories for you Hansa. Haha srisere, there are many many such 'puncher' shops in Bangalore! Lovely clicks...brought out an interesting side to bengaluru ! Hi Lalitha, welcome to Bangalore and thanks for looking outside my window. Do visit the Peanut Fair next year!